US Border Patrol Chief Mark Morgan has left the agency only seven months after he was appointed. 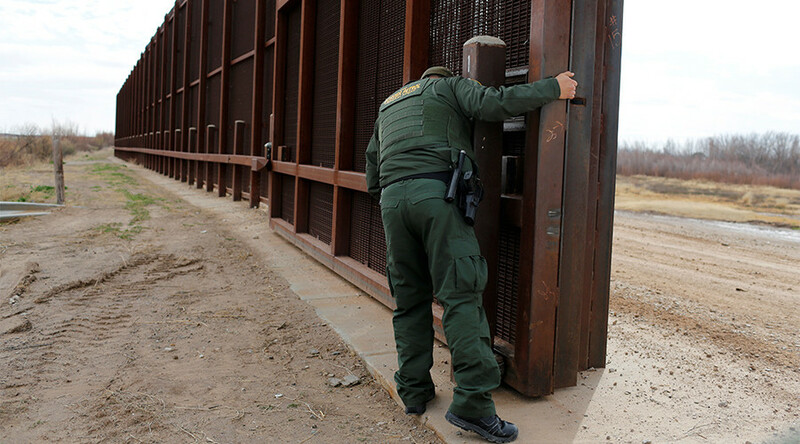 His departure was announced after President Donald Trump signed an executive order to build a massive wall on the Mexican border and hire 5,000 more agents. In a brief video conference with senior Border Patrol agents on Thursday, Mark Morgan said he was asked to leave and he decided to resign rather than fight the request, according to an official who was on the call, AP reported. Morgan was not at work Wednesday, and did not attend a gathering at the Homeland Security Department with Trump and newly appointed Homeland Security Secretary John Kelly. Trump signed an executive order on Wednesday to build the wall. “This is a law enforcement agency,” Trump said during his visit. “But for too long, your officers and agents haven't been allowed to properly do their jobs. From here on out, I'm asking all of you to enforce the laws of the United States of America. They will be enforced and enforced strongly." Morgan’s last official day in office will be on Tuesday, Customs and Border Protection told AP on Thursday, but other officials said he was no longer with the agency. A 20-year FBI veteran, Morgan was appointed to head Border Patrol in June 2016 after a nationwide search. Morgan has previously been the assistant director of training at Quantico. From the start, Morgan clashed with the Border Patrol officers’ union, which endorsed Trump early in his presidential campaign, AP reported. He is also said to have told a Senate hearing in December that he supported a comprehensive immigration overhaul, a phrase often interpreted to include a path to citizenship for people who are undocumented. Morgan’s FBI career included serving as special agent in charge of the El Paso, Texas division, a deputy on-scene in Baghdad, Iraq, and section chief for the bureau’s global command and strategic intelligence center.